From the beginning, Humanoids has embodied creative innovation, a fiercely independent spirit, and a drive to break new ground. Humanoids began under the name Les Humanoïdes Associés in the turbulent early 1970s in Paris, which—like San Francisco and New York—was alive with the spirit of artistic revolution. As young people were debating ideas in unprecedented ways, graphic novel artists Jean Giraud (known as Mœbius) and Philippe Druillet, along with writer Jean-Pierre Dionnet were determined to push the limits of their art and of the medium as a whole. 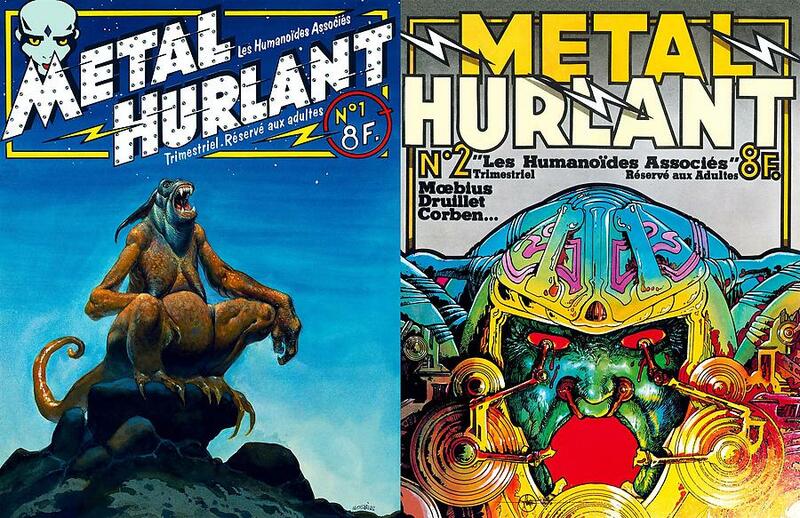 They joined forces to create a comics magazine like none before: Métal Hurlant (French for "Screaming Metal"). The first logo of the company, drawn by Mœbius in 1974. From its first issue in January 1975, Métal Hurlant showed how comics could be created and presented in cutting-edge ways. 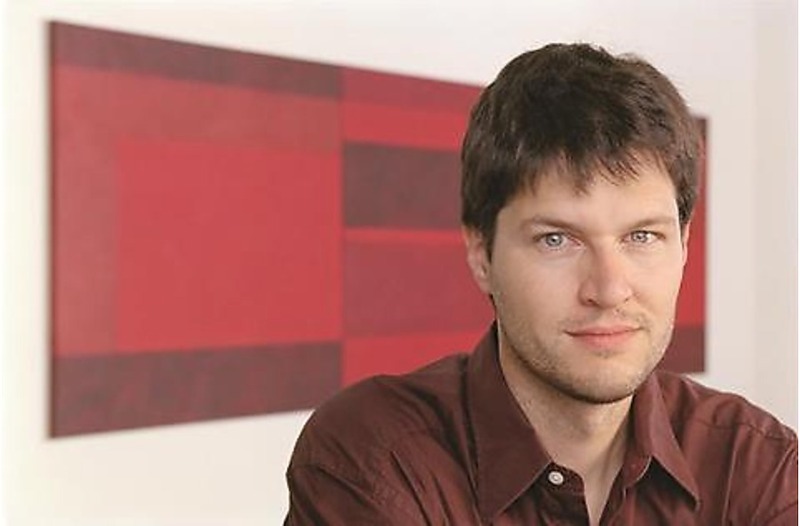 The magazine combined with Les Humanoïdes Associés, its book publishing counterpart, quickly achieved a reputation as a company run by creative people for the sake of creating and exploring storytelling and art. 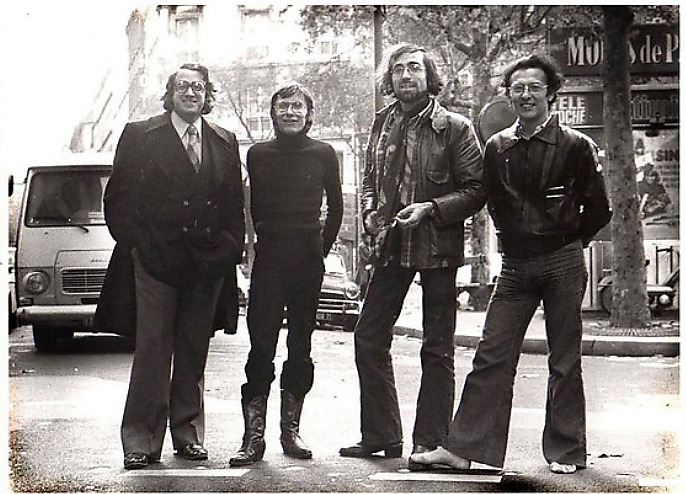 Les Humanoïdes Associés’ CFO Bernard Farkas with Jean- Pierre Dionnet, Philippe Druillet and Mœbius in Paris in 1975. The magazine achieved such worldwide acclaim that National Lampoon launched a U.S. version, Heavy Metal. It initially published Druillet, Mœbius and other European creators in English translations, exposing American audiences to a whole new side of comics. Left: Métal Hurlant issue #1 (illustration by Mœbius). Right: Métal Hurlant issue #2 (illustration by Druillet). Soon Humanoids attracted the attention of creators outside the comics world, such as Ridley Scott who subsequently hired Mœbius to create concept art for his film Alien—as would James Cameron for his movie The Abyss, and others. In 1981, Columbia Pictures released the animated feature Heavy Metal, adapted from the magazine. Later, with Swiss entrepreneur Fabrice Giger taking over the company from media giant Hachette, Humanoids became completely international in its thinking and creative process, with artists and writers from multiple countries working together to create art and stories with global appeal. In 1998, Humanoids opened a branch in Los Angeles to introduce its creators and titles to North American audiences and work with local talent. So far, it is the only comic book publisher of European origin to have achieved a successful presence in the English speaking markets, where its catalogue is exploited under the Humanoids brand and various imprints. While retaining its Paris office and a creative team there, the Los Angeles office has been the headquarters of the company since 2013. 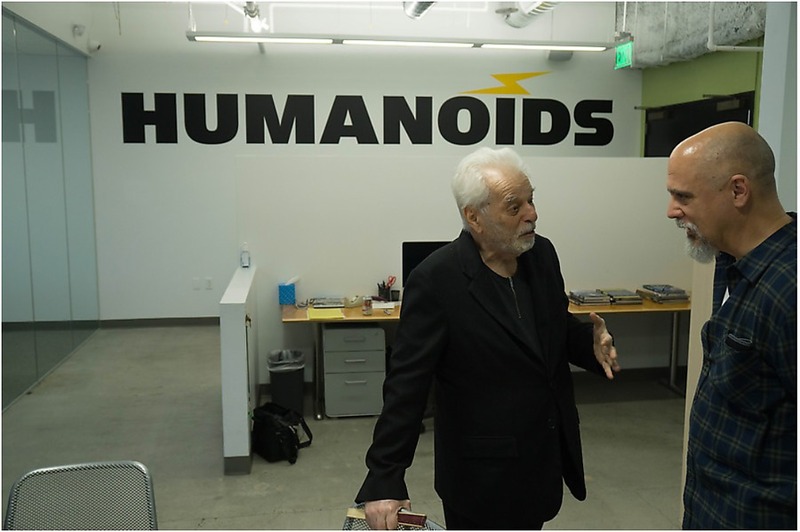 Above: Alejandro Jodorowsky and Jerry Frissen at the Los Angeles headquarters in January 2018. Over the years, Humanoids has published thousands of original titles, with third-party publishers translating many of them into numerous languages. Some, such as The Incal, have achieved stellar performances worldwide and sold millions of copies. Creators have always been the heart of Humanoids. 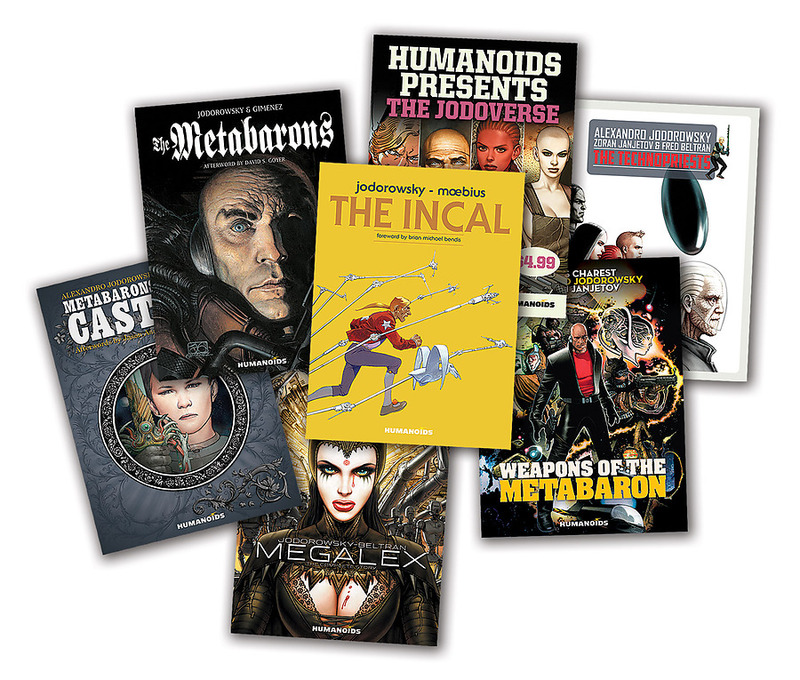 Its catalogue—which spans a varied collection of genres: science-fiction, thriller, comedy, horror, children’s, fantasy, action, adventure, and more—includes the works of some of the most talented and celebrated artists and writers in the graphic novel field. Among them is the legendary creator Alejandro Jodorowsky, who has—in over four decades of working with Humanoids—established a large, shared sci-fi universe, spanning multiple characters, stories and series, known as the Jodoverse. While books (paper and digital) are considered Humanoids' primary focus, its activity has evolved into content development and management of Intellectual Properties. With a team of skilled professionals out of the Los Angeles and Paris offices, who have strived to bring titles with audiovisual potential to the catalog, Humanoids is now positioning itself as a major content provider for the growing worldwide entertainment industry.